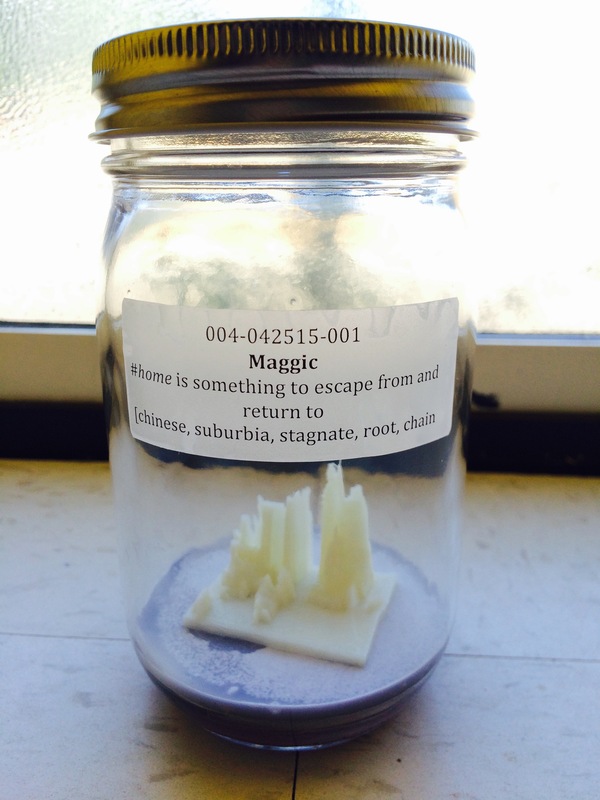 AMPD Professor Joel Ong will present his work entitled #home at the Tech Art Fair at the Ontario Science Centre over the Family Day weekend. 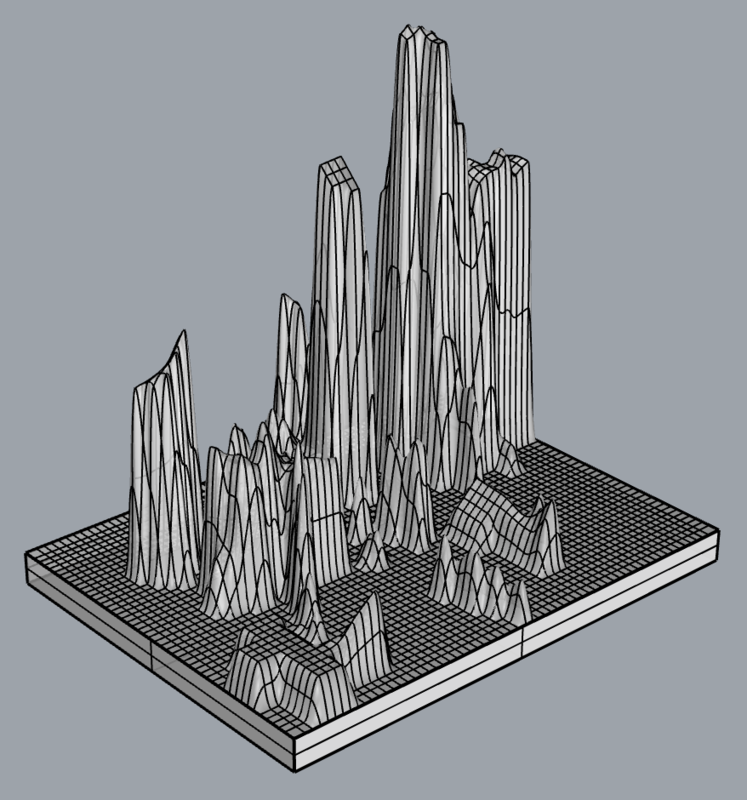 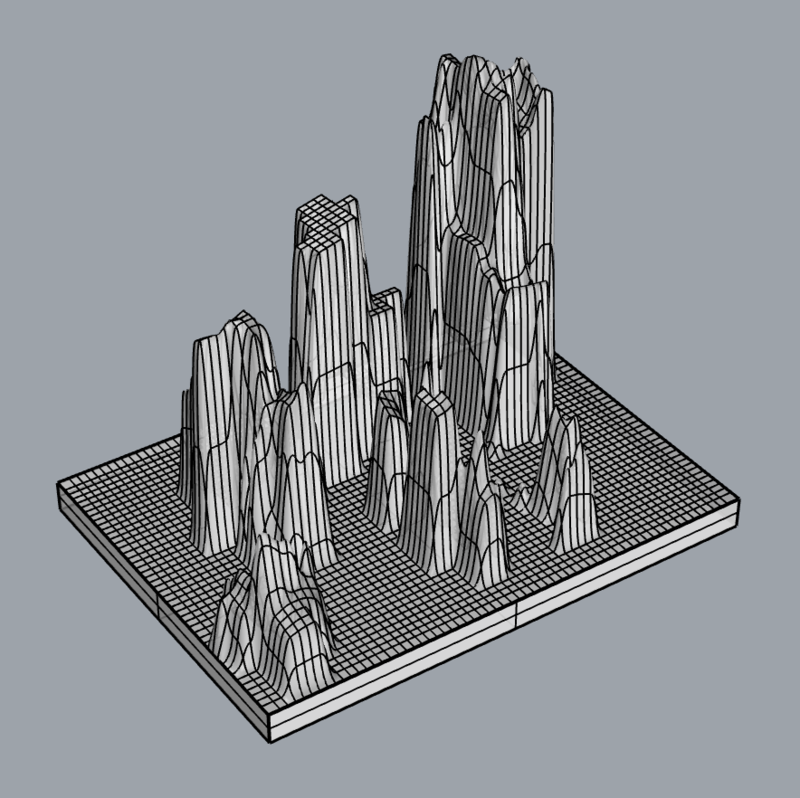 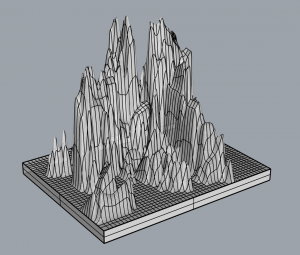 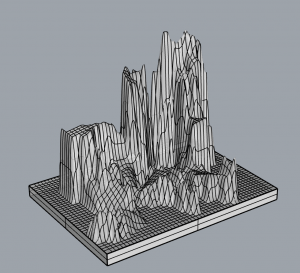 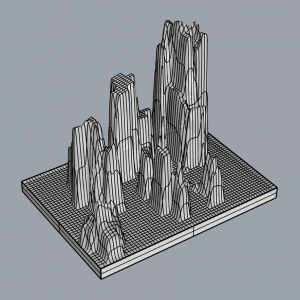 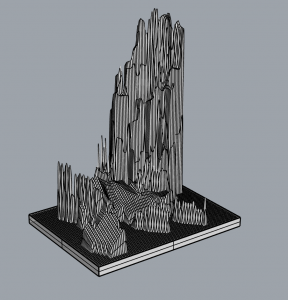 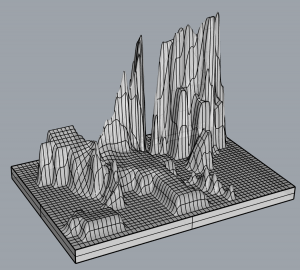 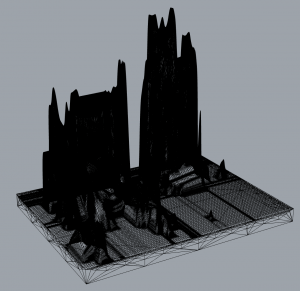 #home incorporates real-time Twitter monitoring, geographic information retrieval and experimental 3D printing to create unique sculptural cities reflecting an individual’s idea of home. #home was part of the 2nd Black Box International Art, Film and Technology Festival. 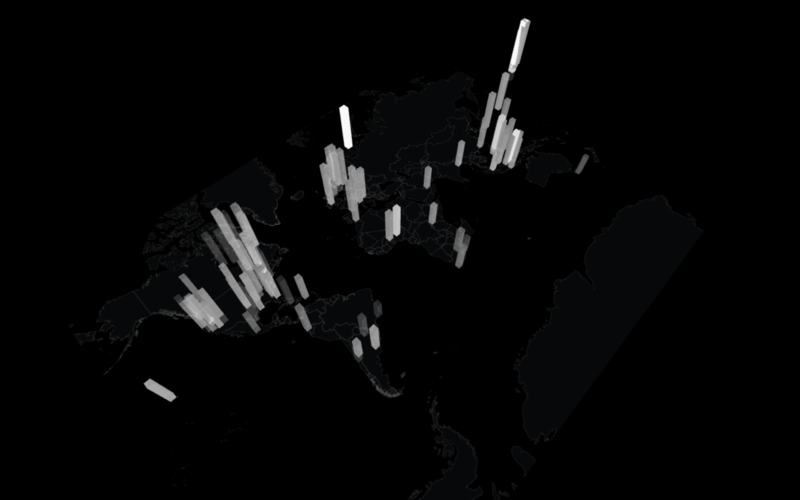 Black Box 2.0 was curated by Anne Couillaud (Independent Curator) and Julia Fryett (Founder, Aktionsart) and ran from May 6 – June 7, 2015. 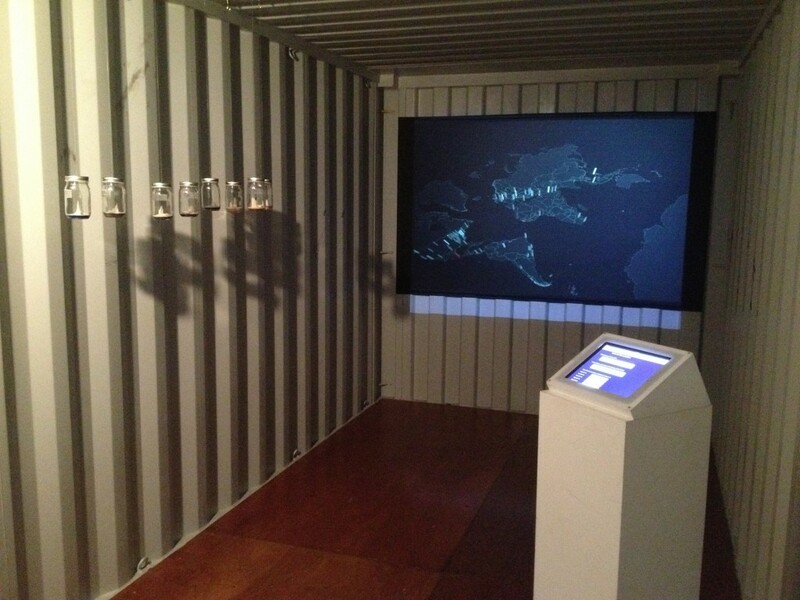 This installation was housed at Shipping Container III in Ballard from May 21st to June 5th; it was then moved in its last weekend to Morningside on South Lake Union. 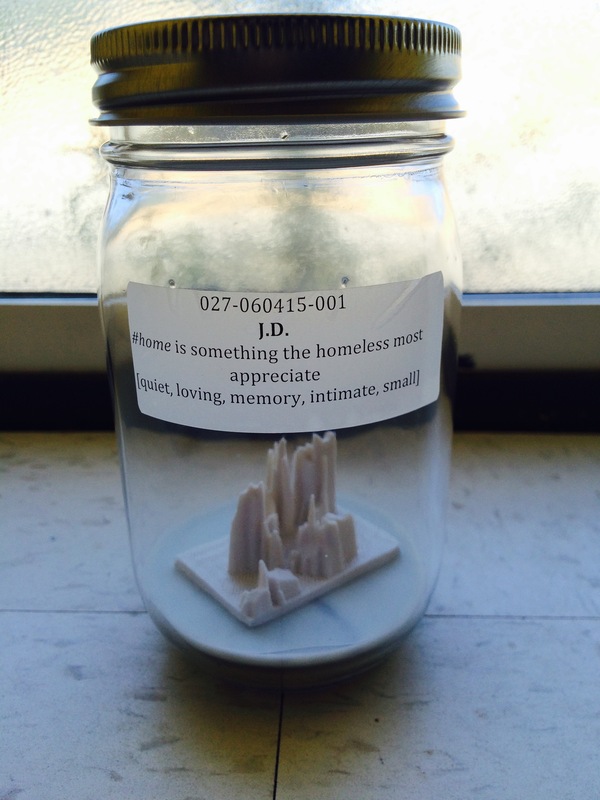 Visitors were invited to share a short sentence and 5 key words about their homes via an Ipad at the installation venue. Each individual’s descriptions and key words were then used to filter a live Twitter stream, catching tweets around the world where the chosen word/phrase was talked about. 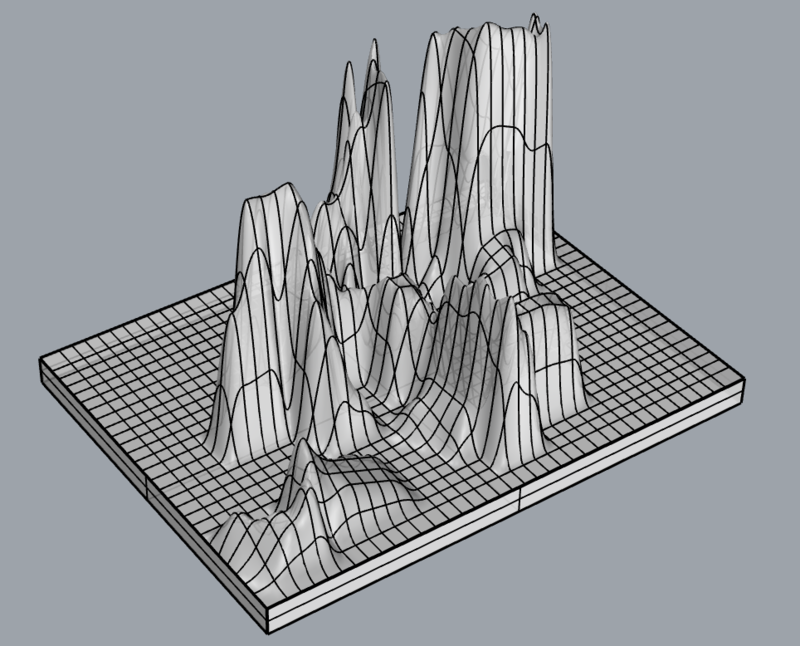 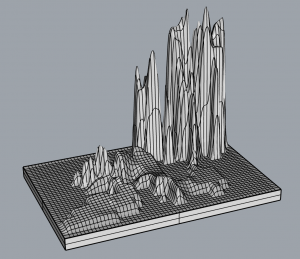 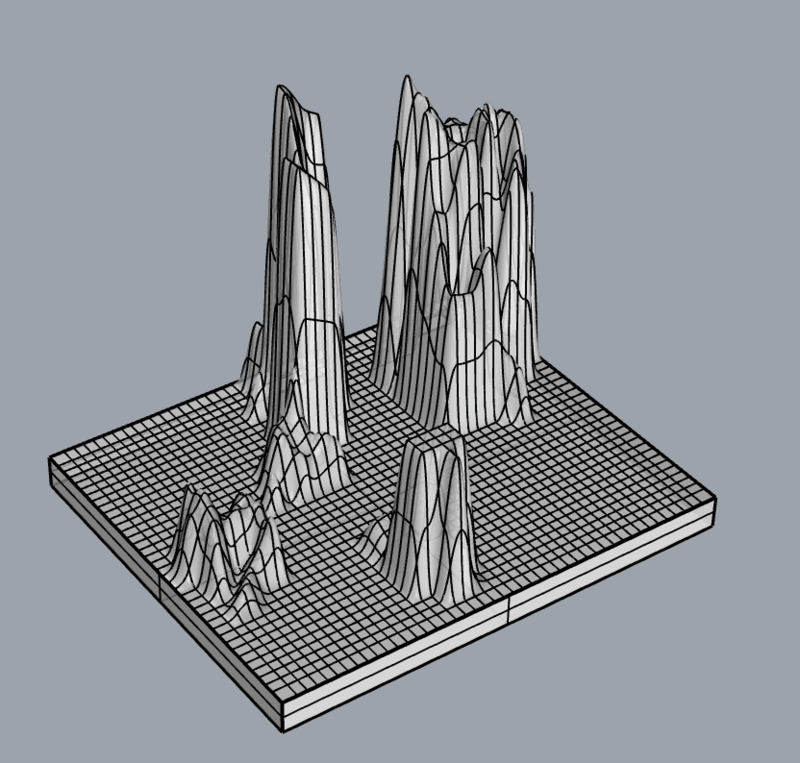 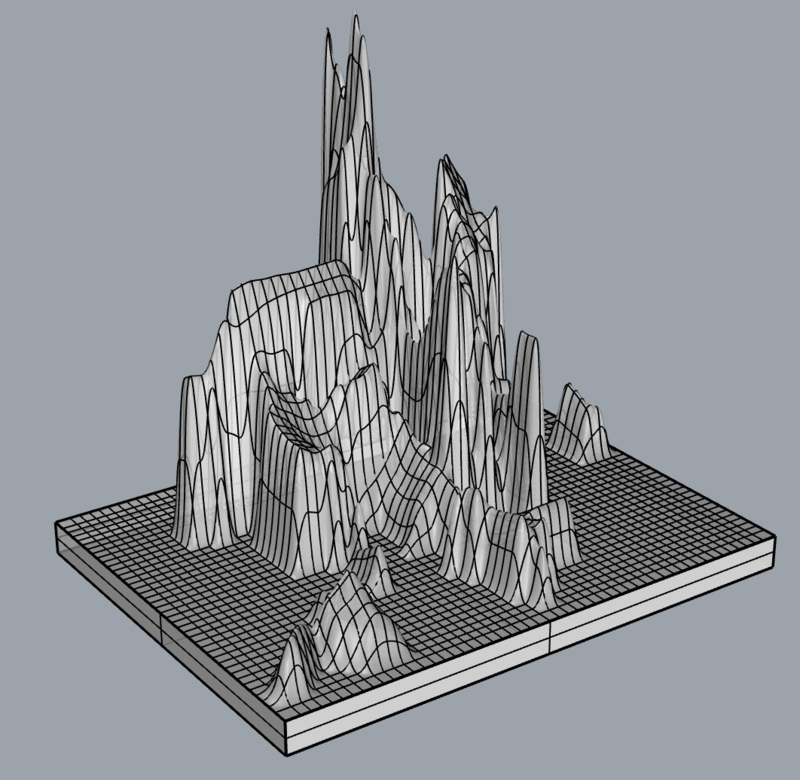 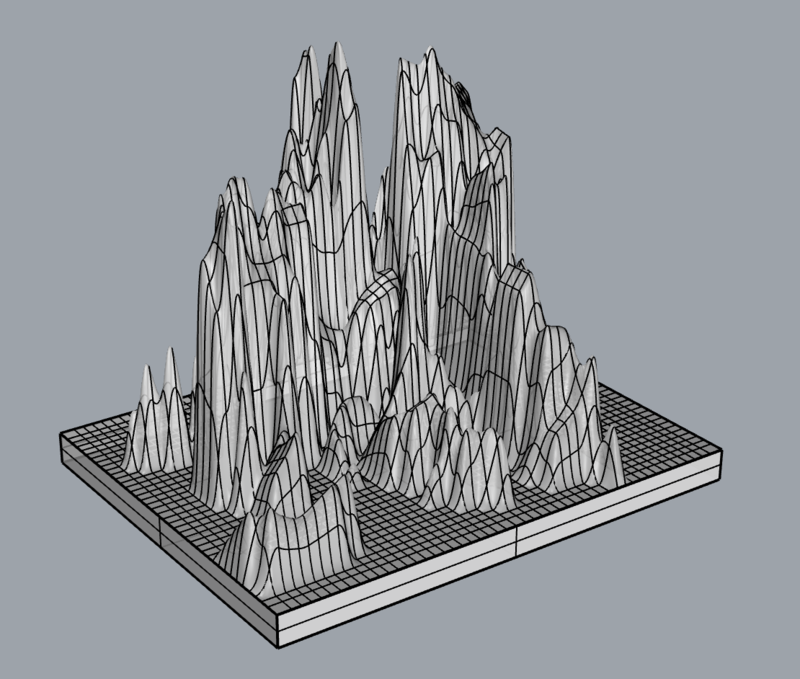 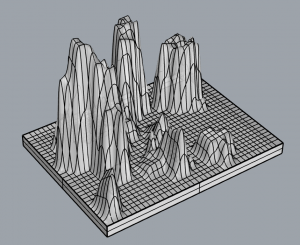 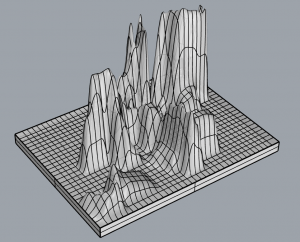 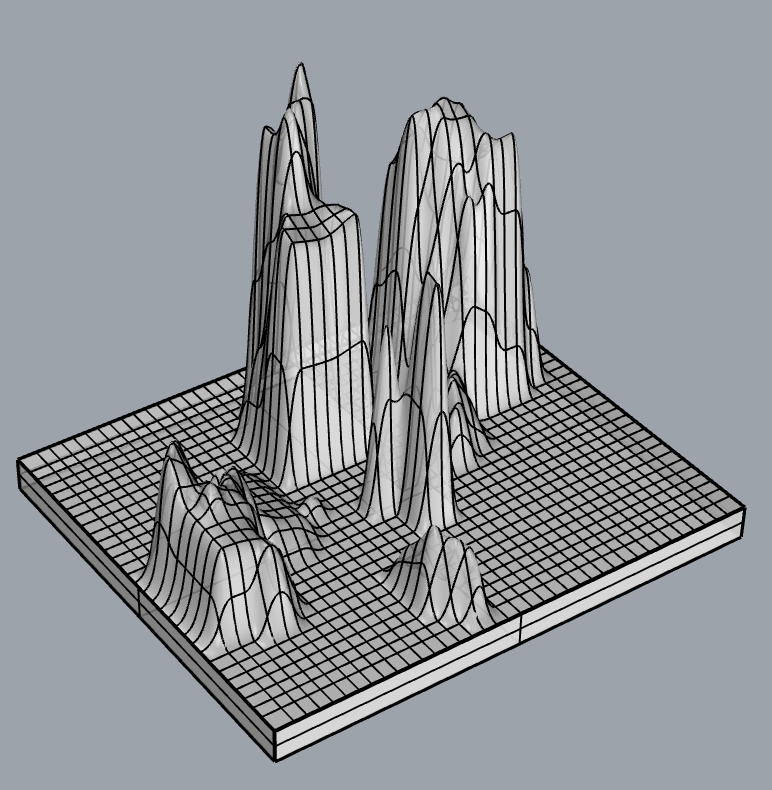 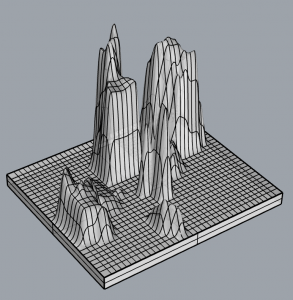 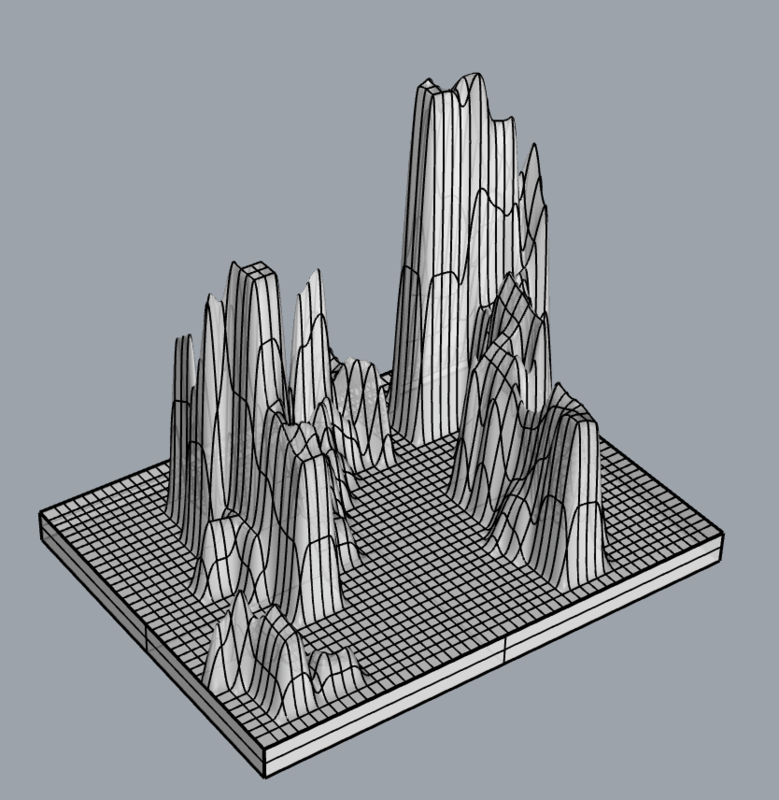 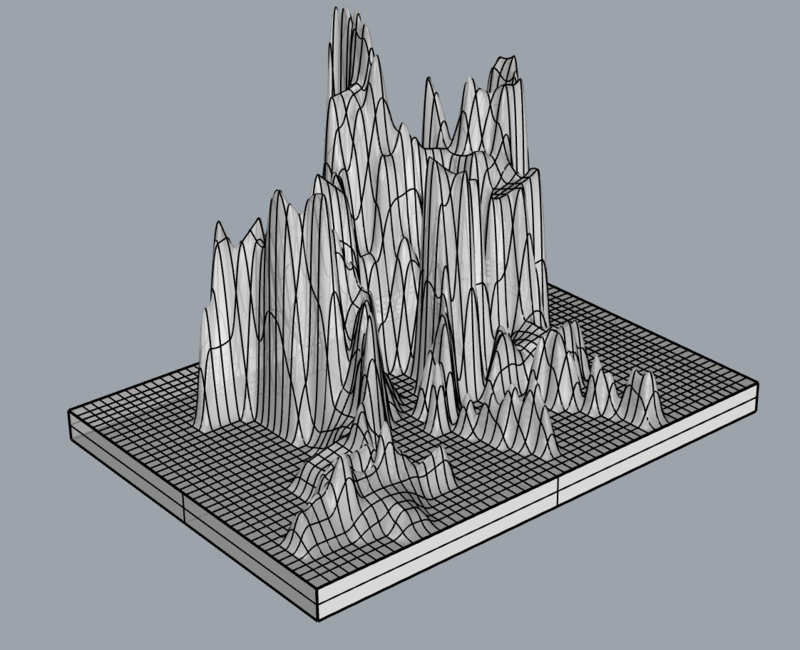 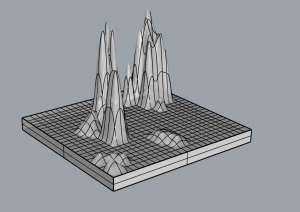 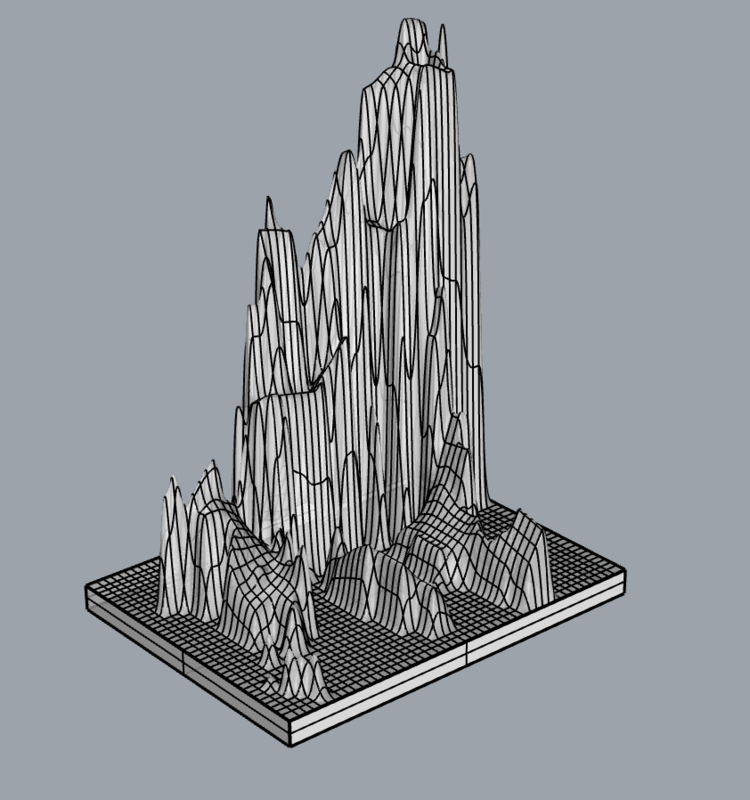 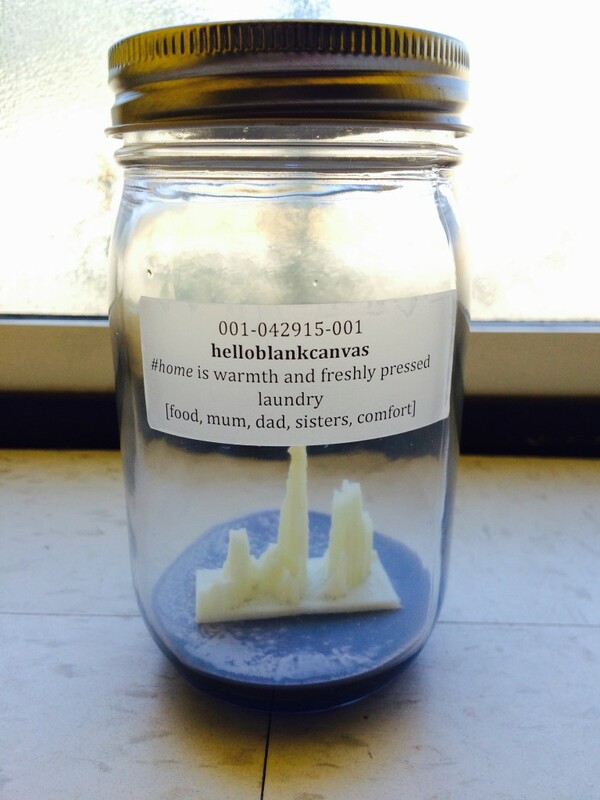 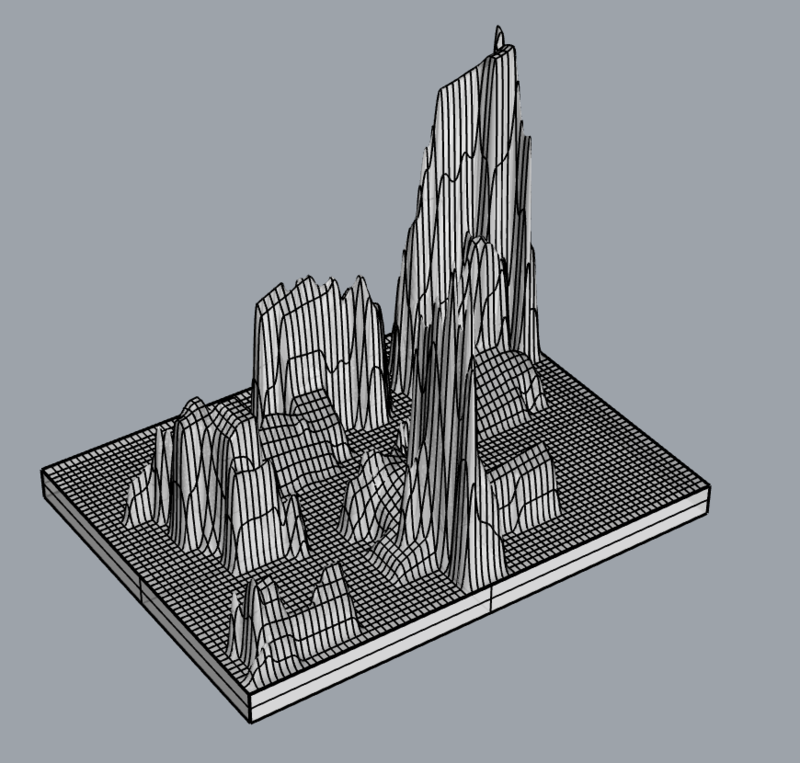 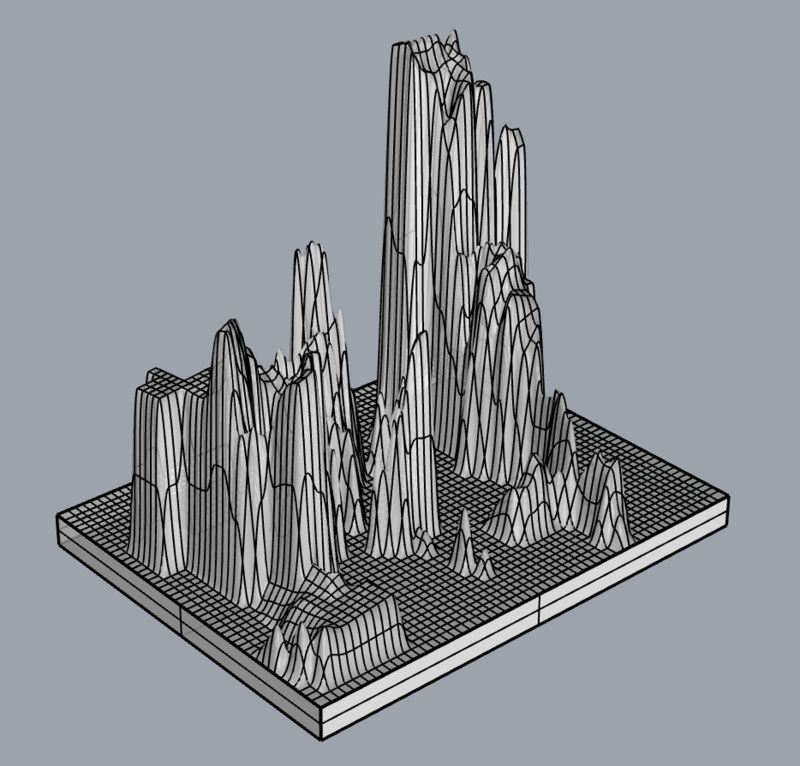 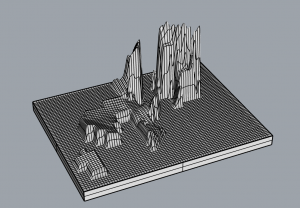 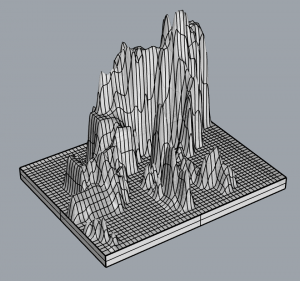 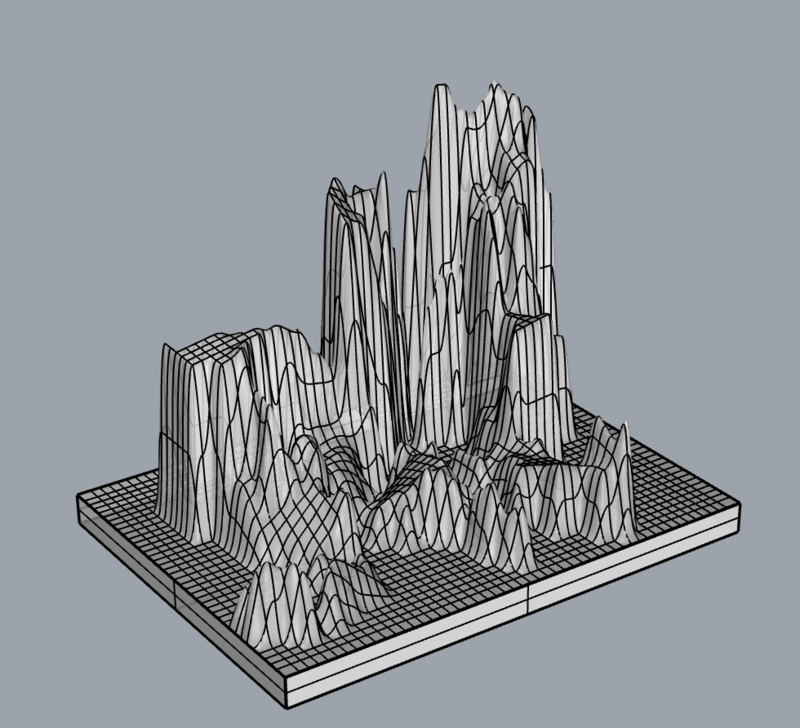 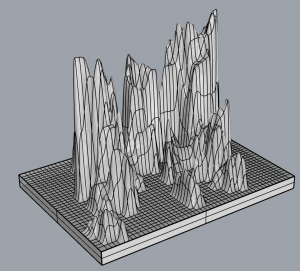 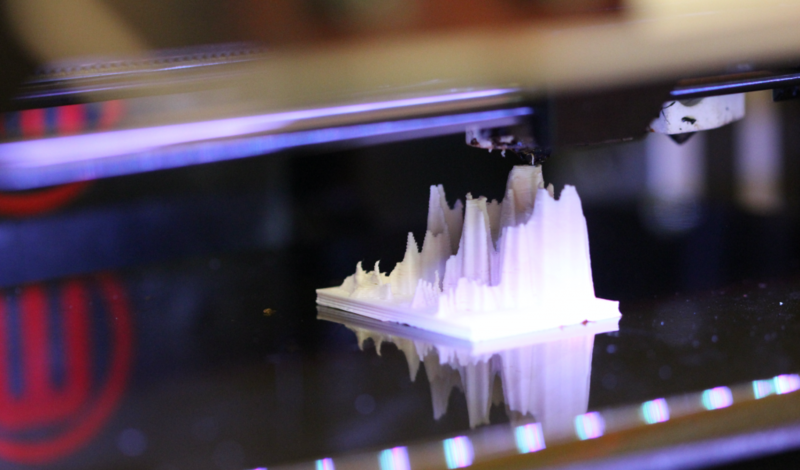 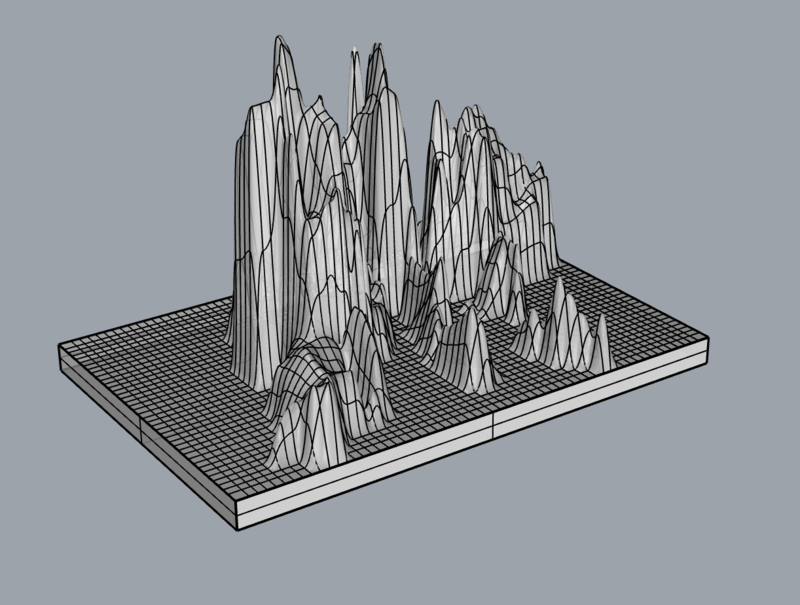 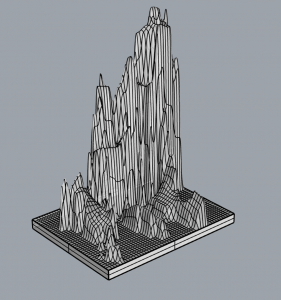 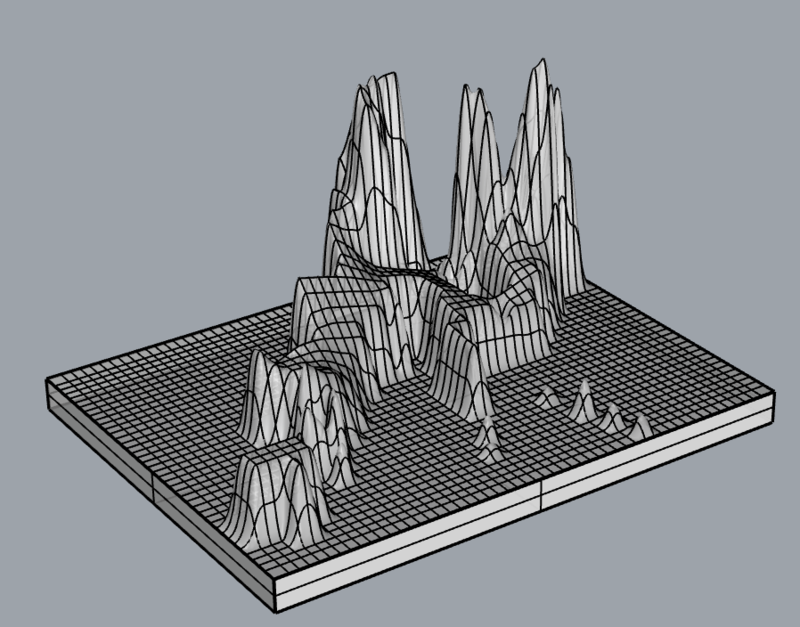 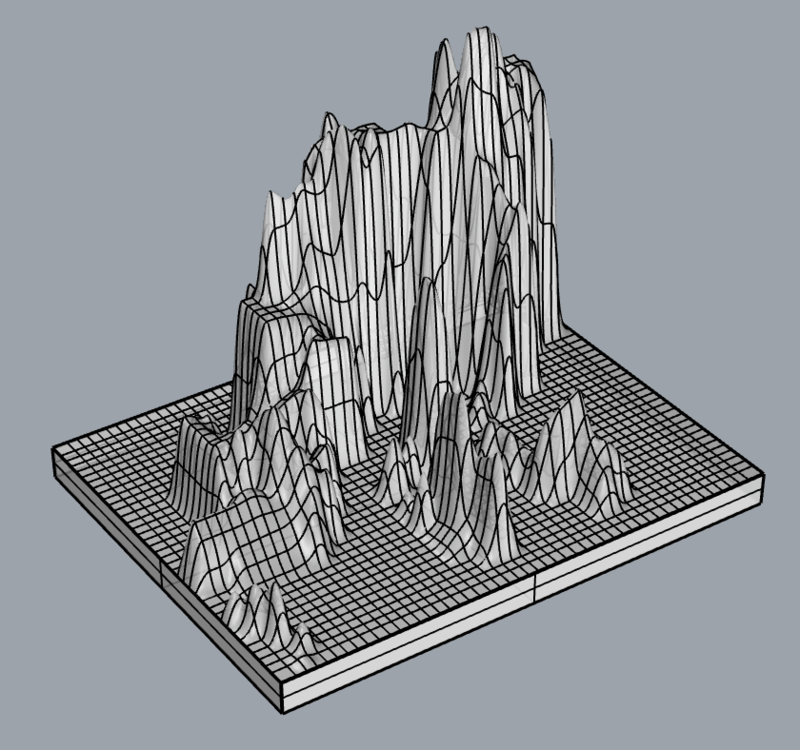 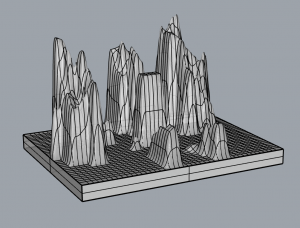 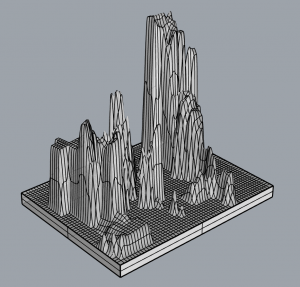 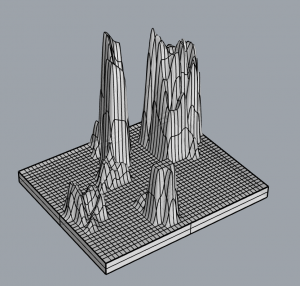 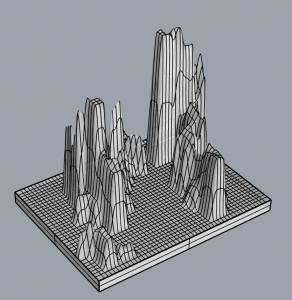 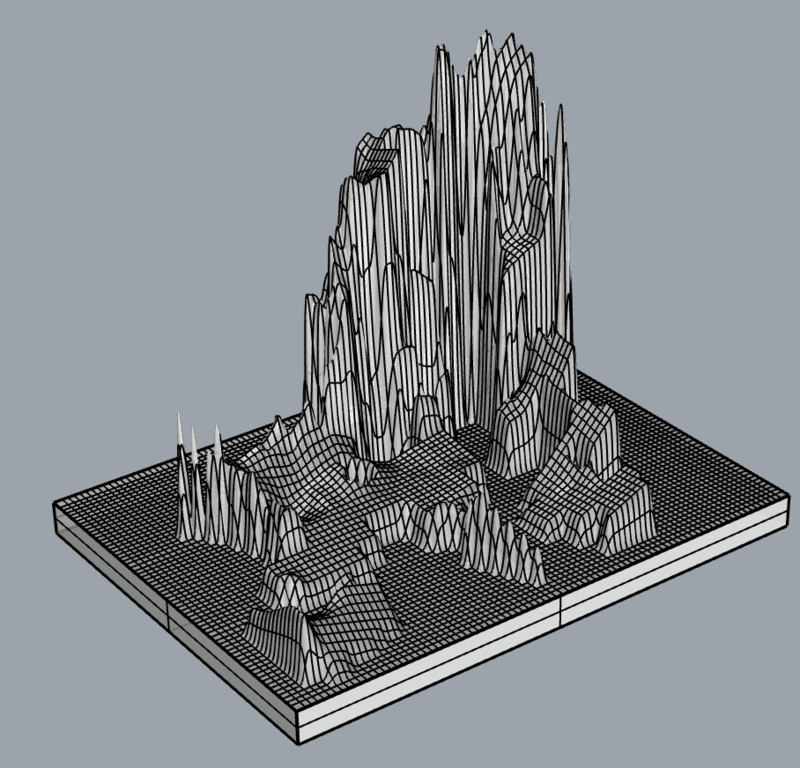 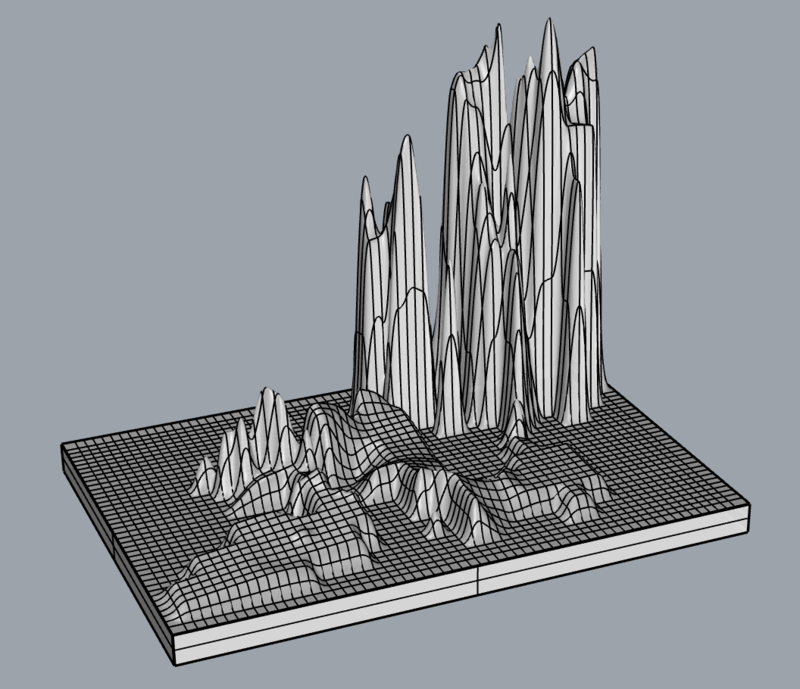 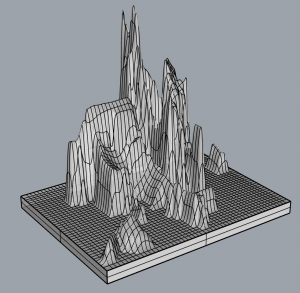 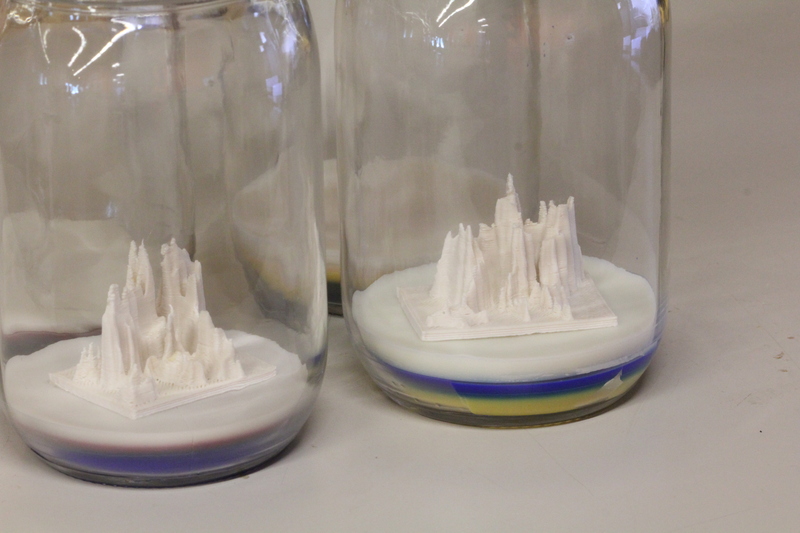 The locations of these tweets were visualized on a map, and as they aggregated over time, a city was ‘grown’ for each participant and subsequently 3D printed into physical form. 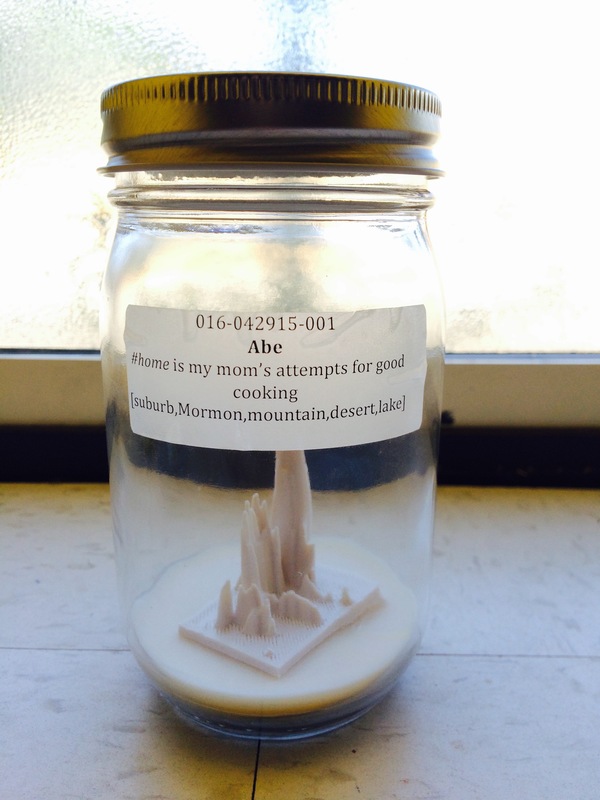 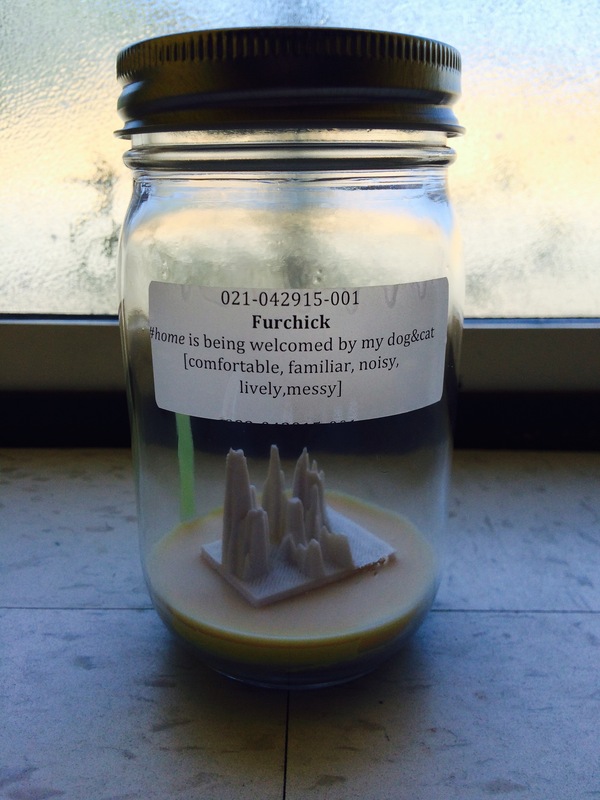 The physical form was then placed in a jar and returned to the visitors. 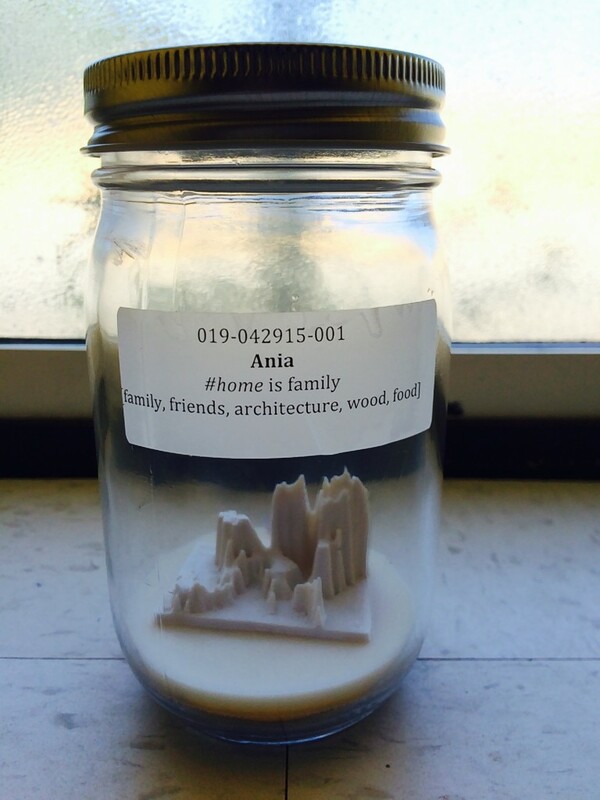 This project proposes that our personal and often private notions of home can be shared and interwoven amongst the streams of memories and thoughts in digital social networks. 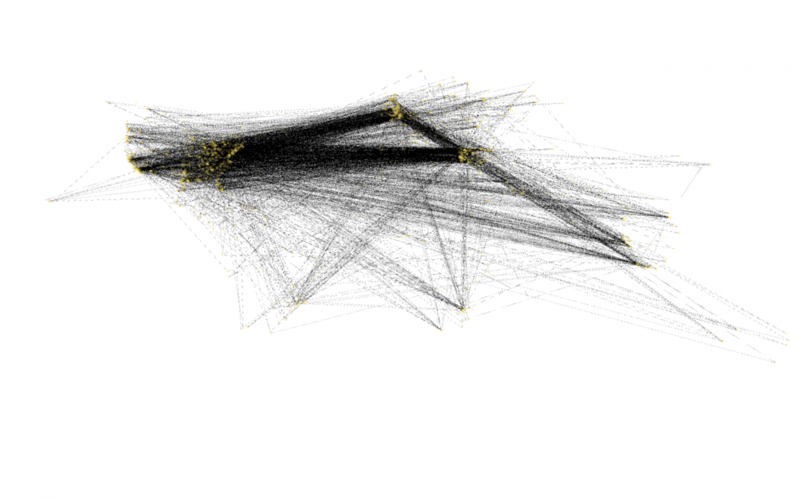 In so doing, it celebrates connectivity in a decentralized, increasingly dislocated and post-structuralist world. 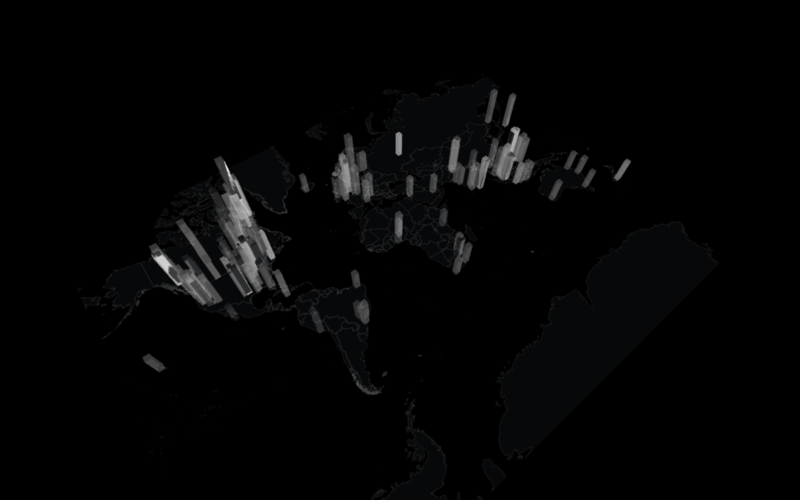 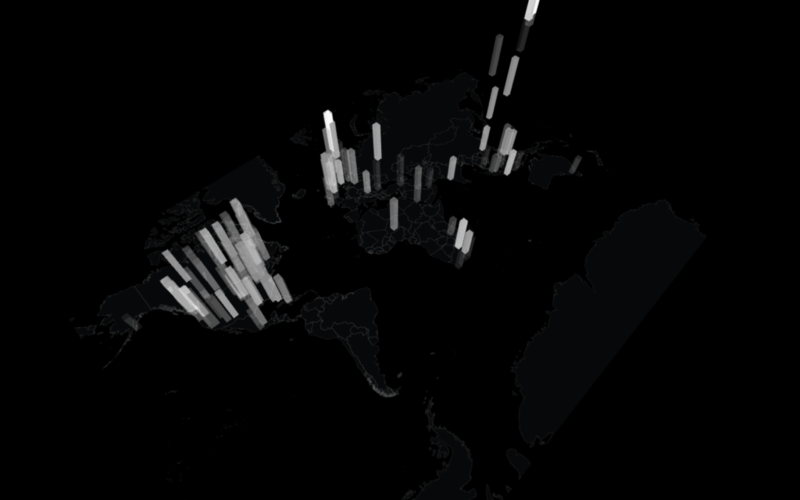 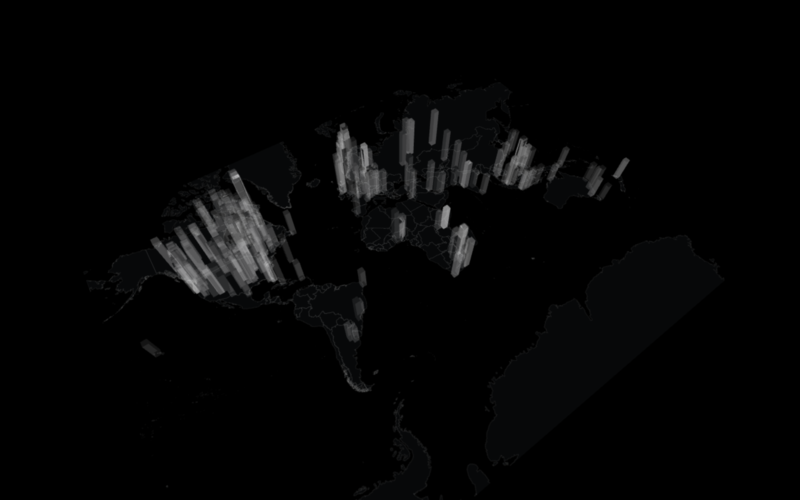 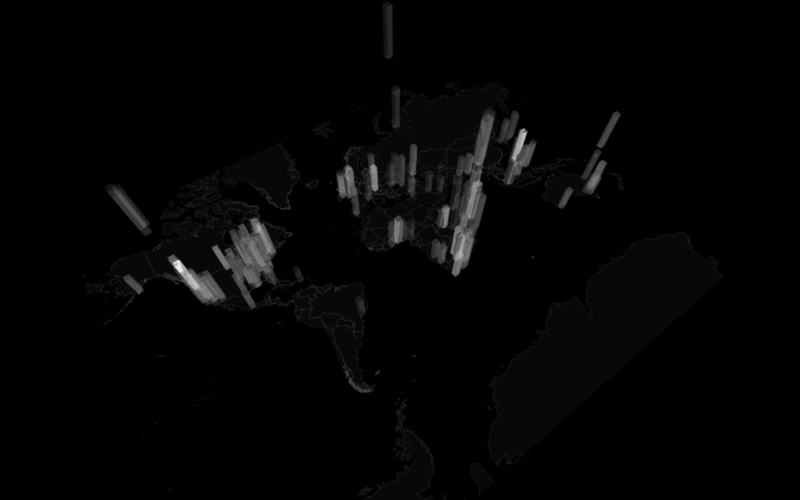 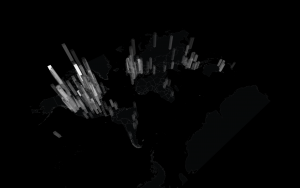 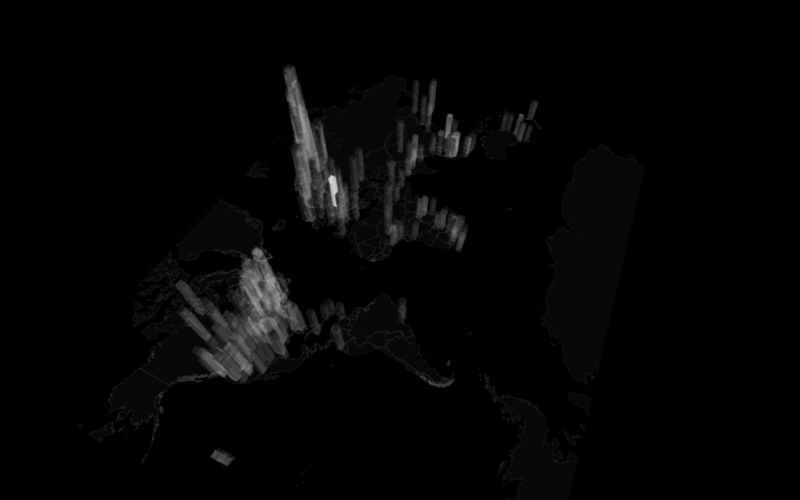 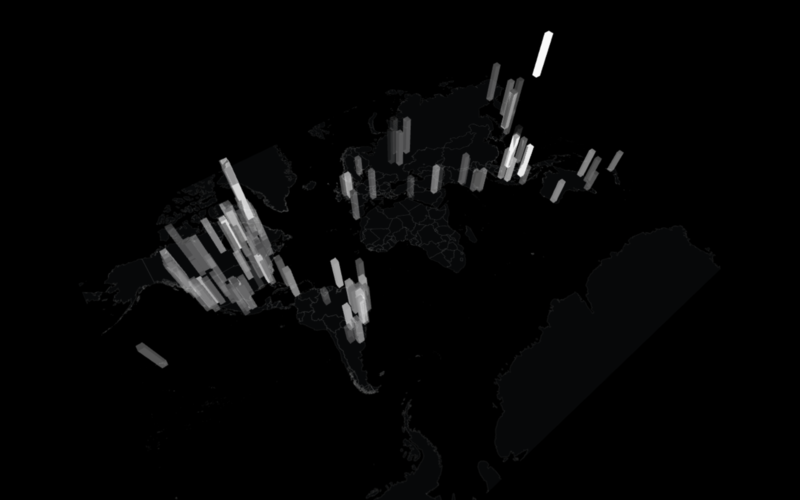 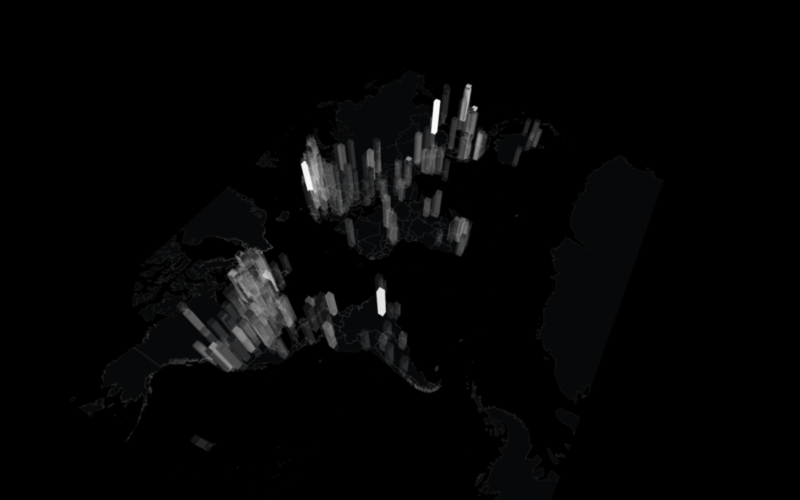 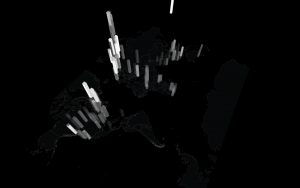 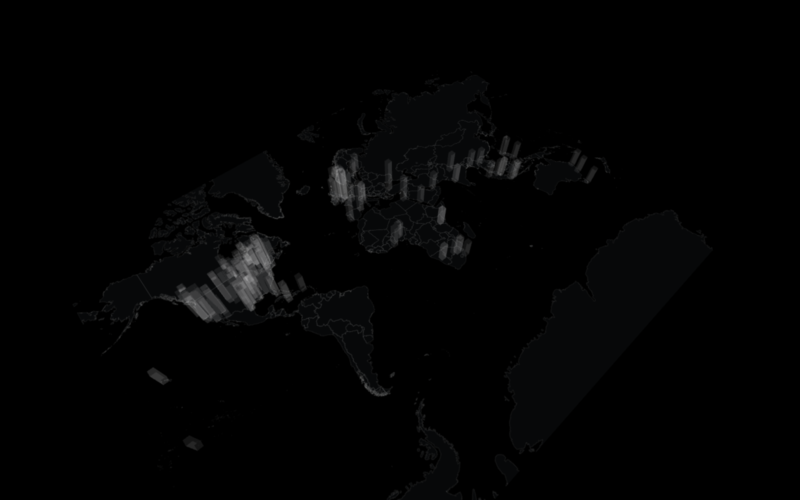 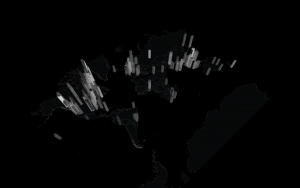 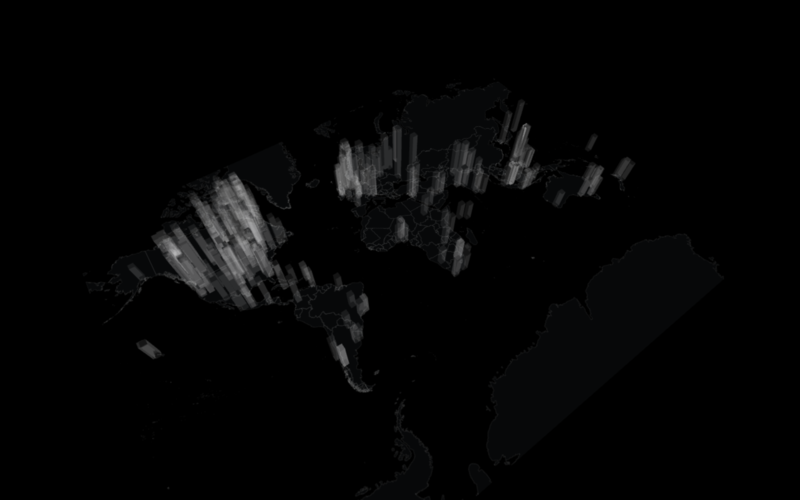 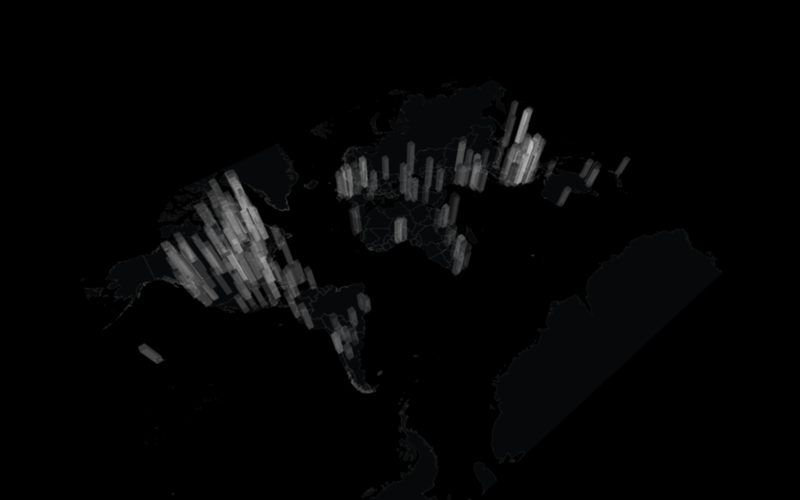 Visualization of city grown through geo-locating Tweets in real time. home.. a location that is simultaneously personal and ubiquitously fluid; ambiguous yet unforgettable; vacuous yet full of images, sounds and smells; transitory yet grounded in past ideas and future memories. 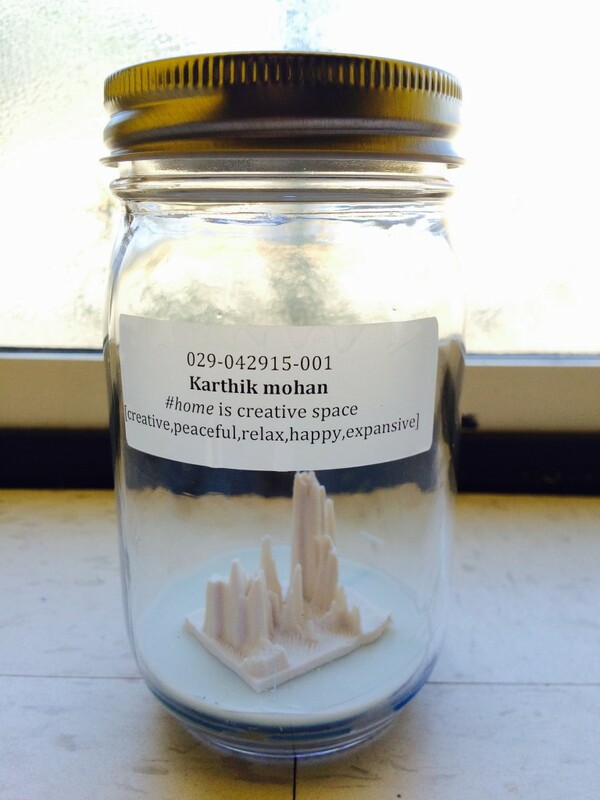 Many thanks Anne and Julia @ Blackbox, Jimmy, Sunny and Christina at the DXARTS workshop in Ballard, my partner Lynette Tan, Martin, Tivon, Robert, Mike, Marcin and James Coupe at DXARTS, all the other inspiring artists at BlackBox, and Karthik Mohan. 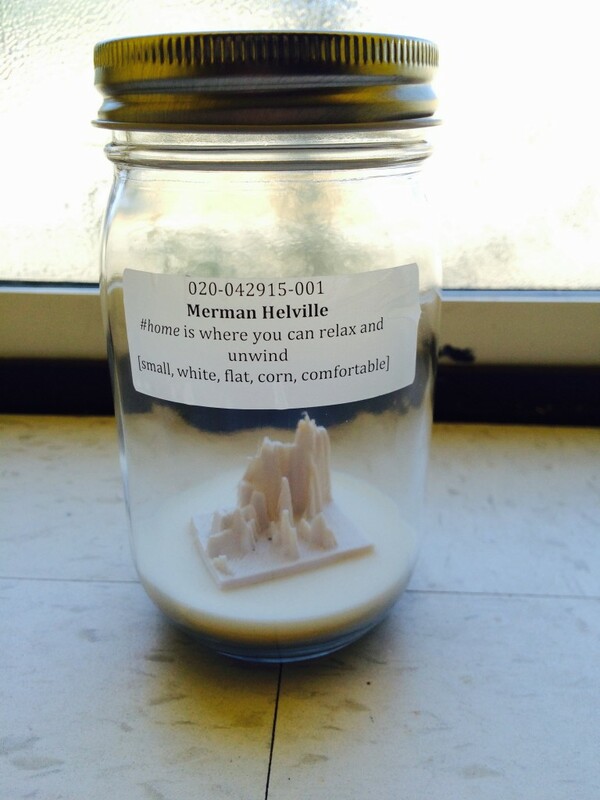 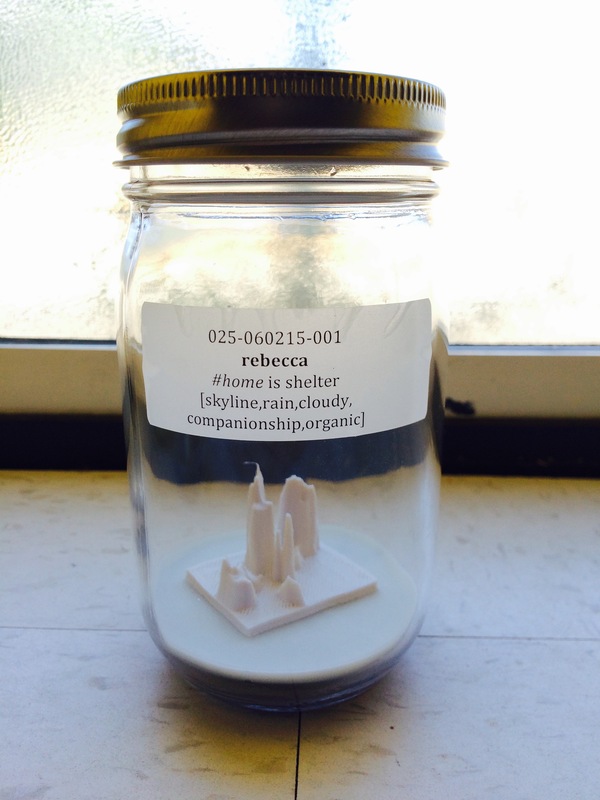 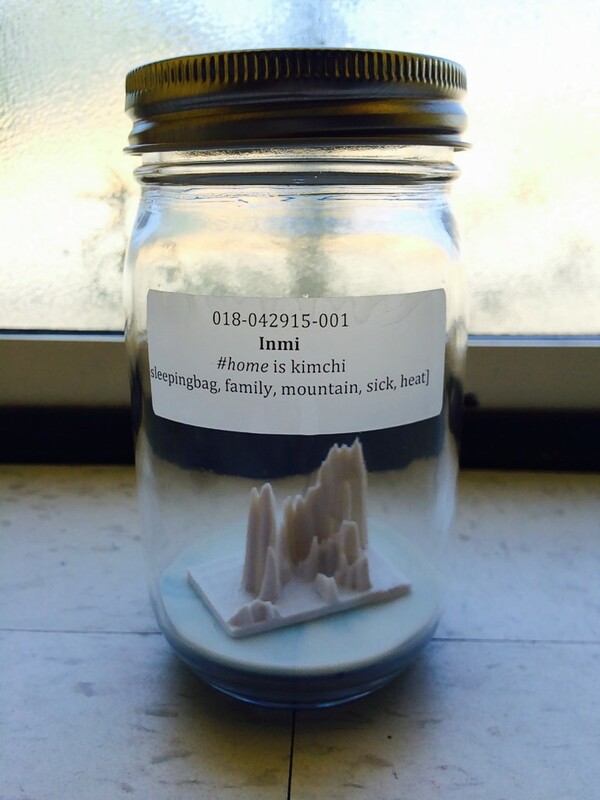 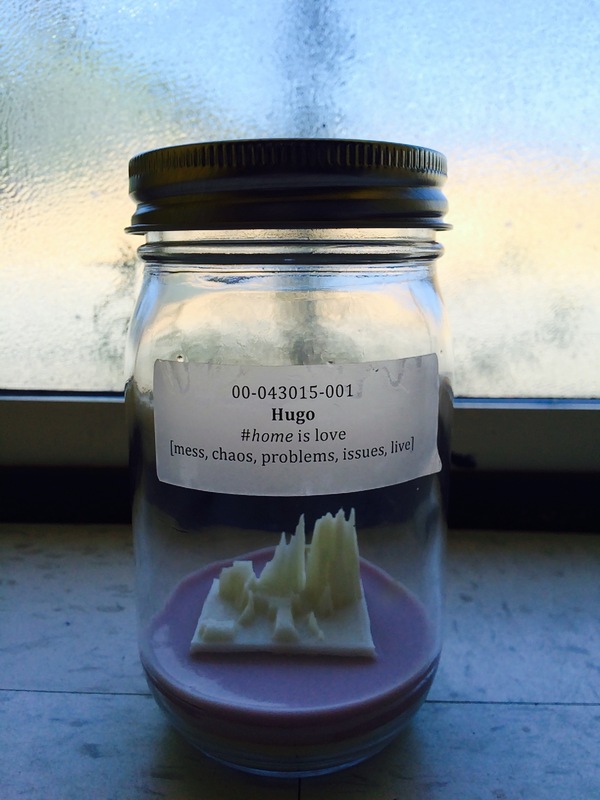 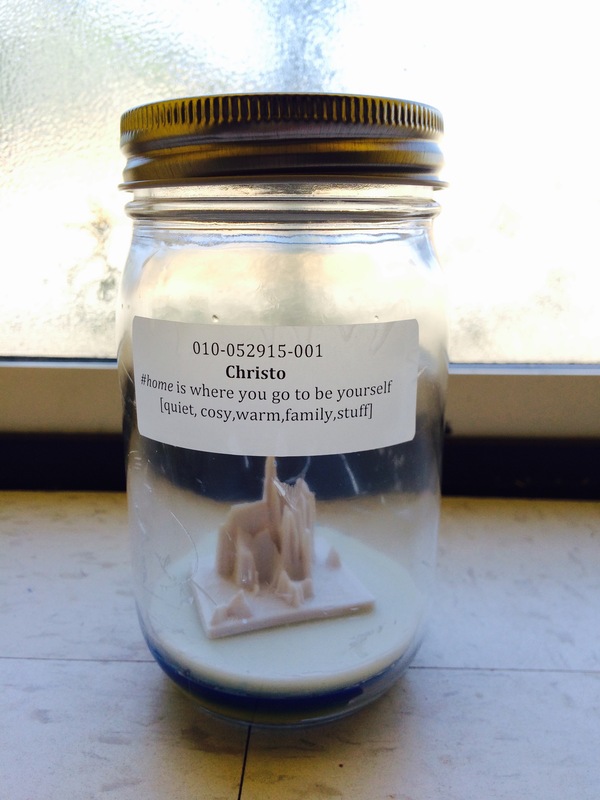 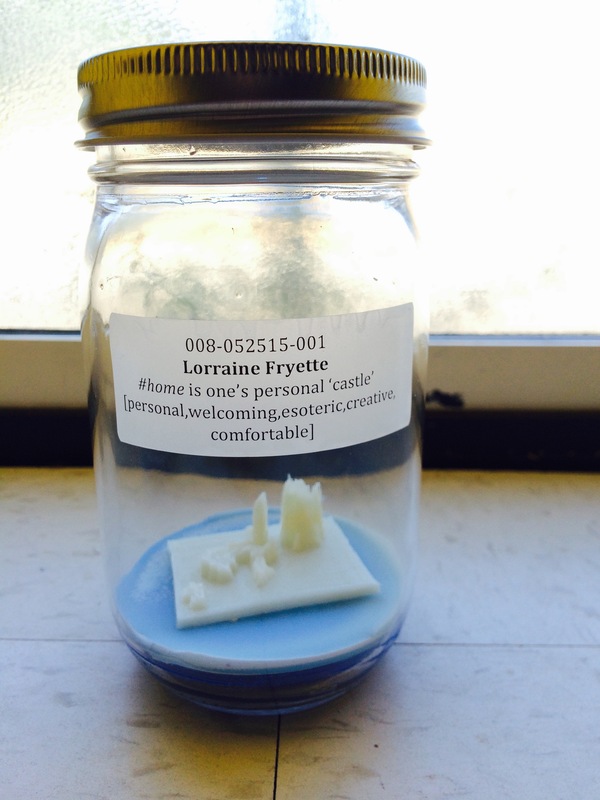 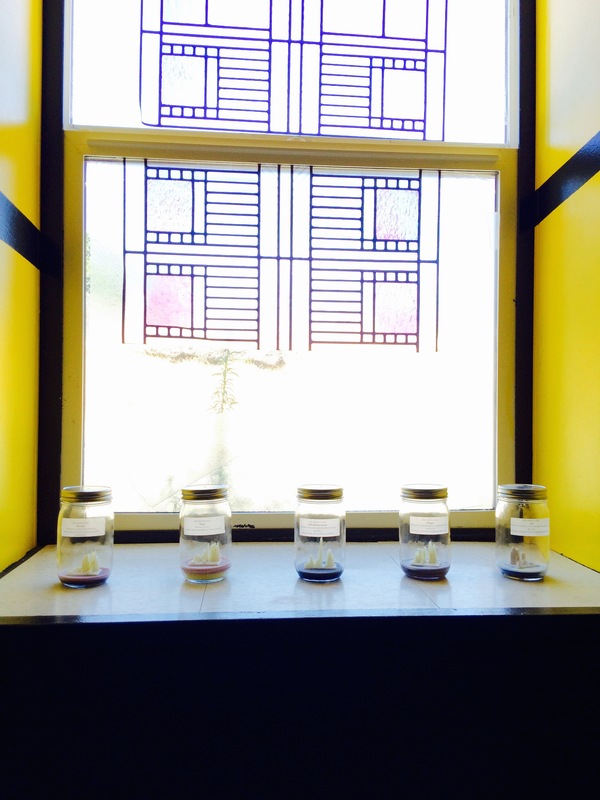 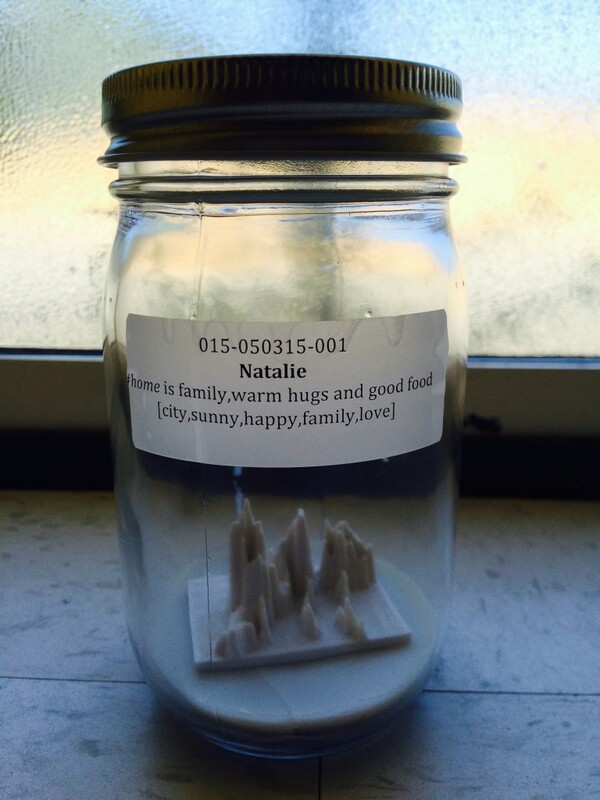 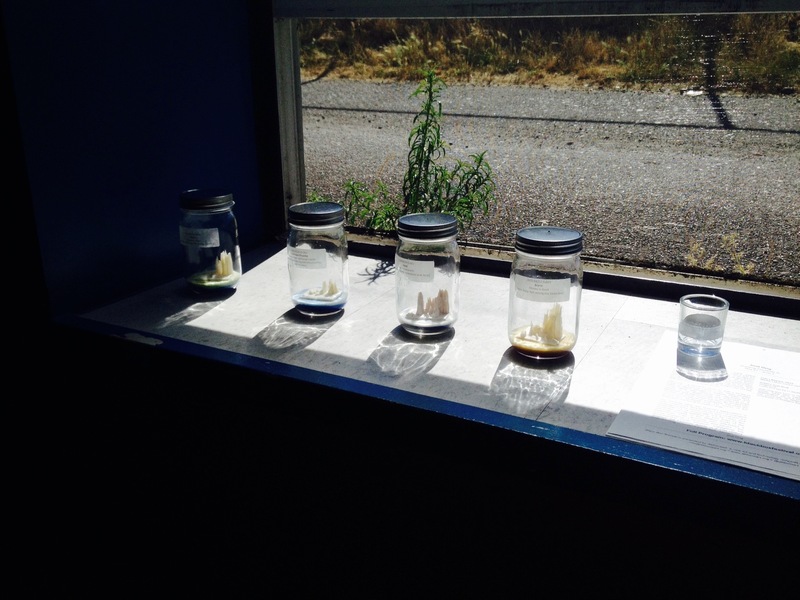 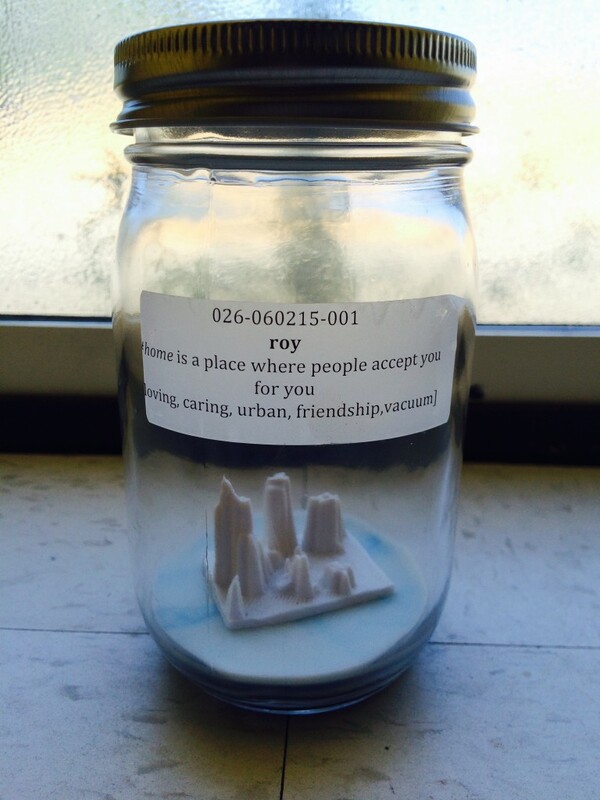 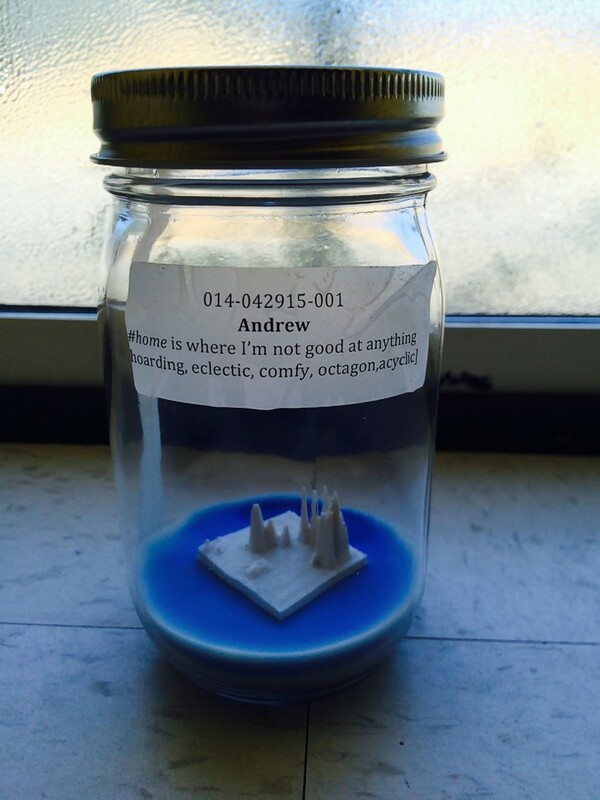 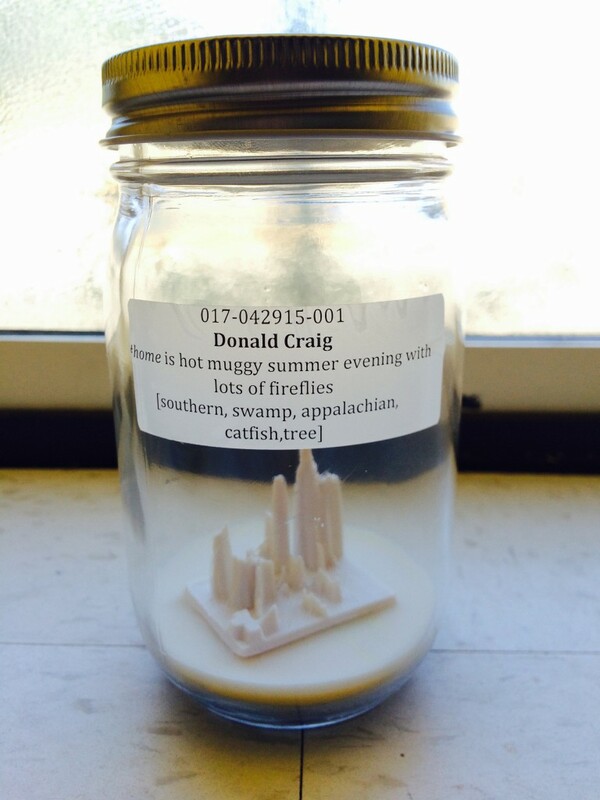 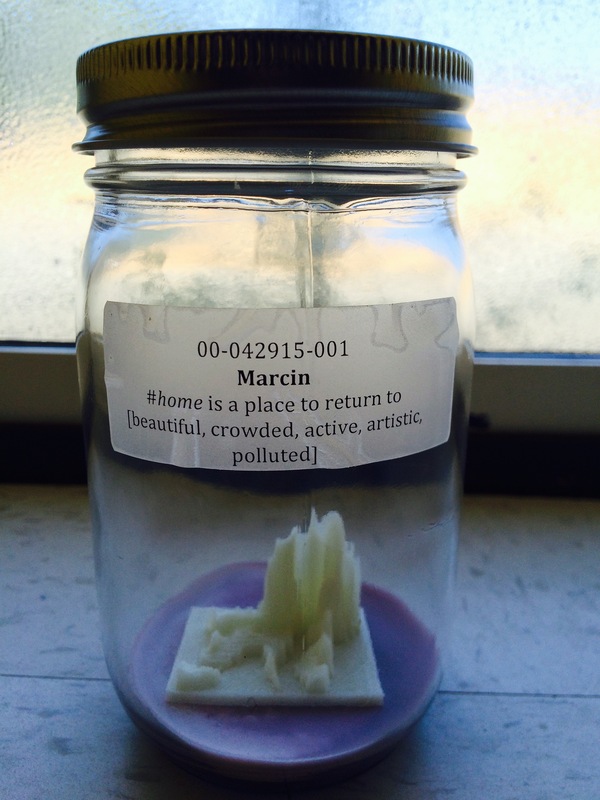 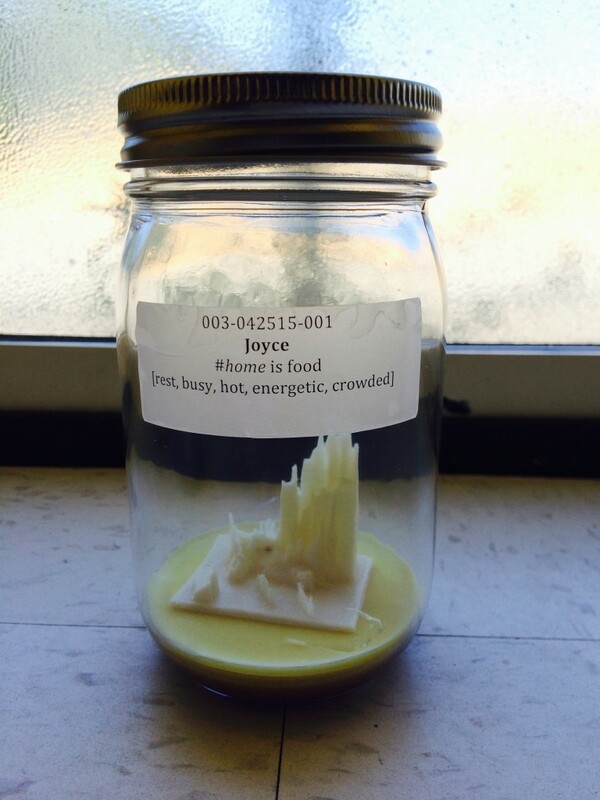 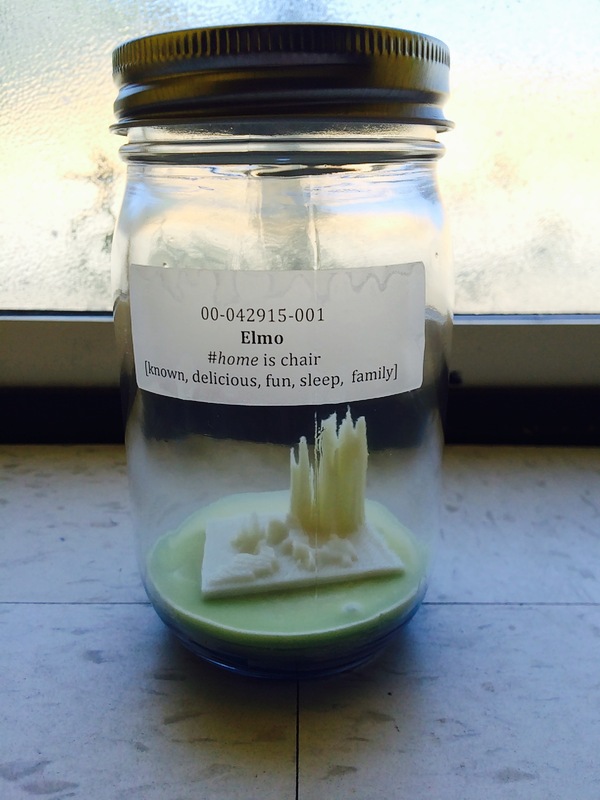 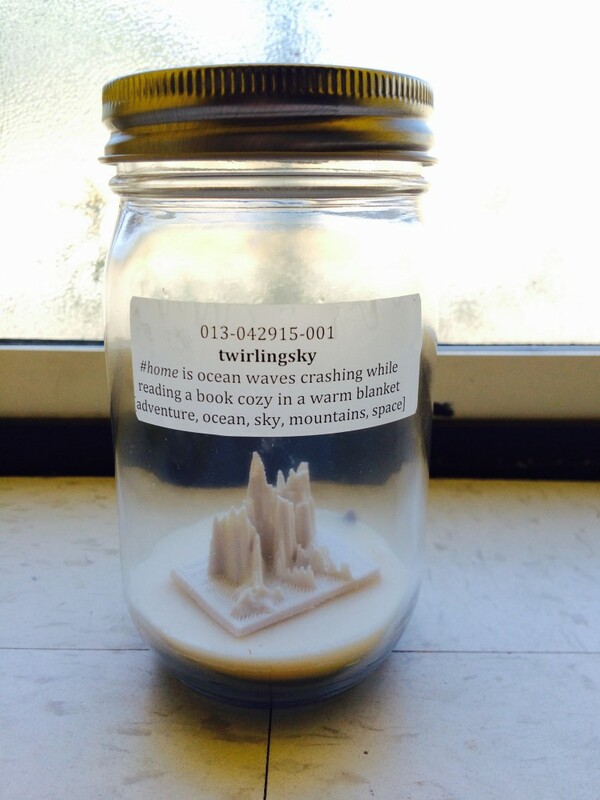 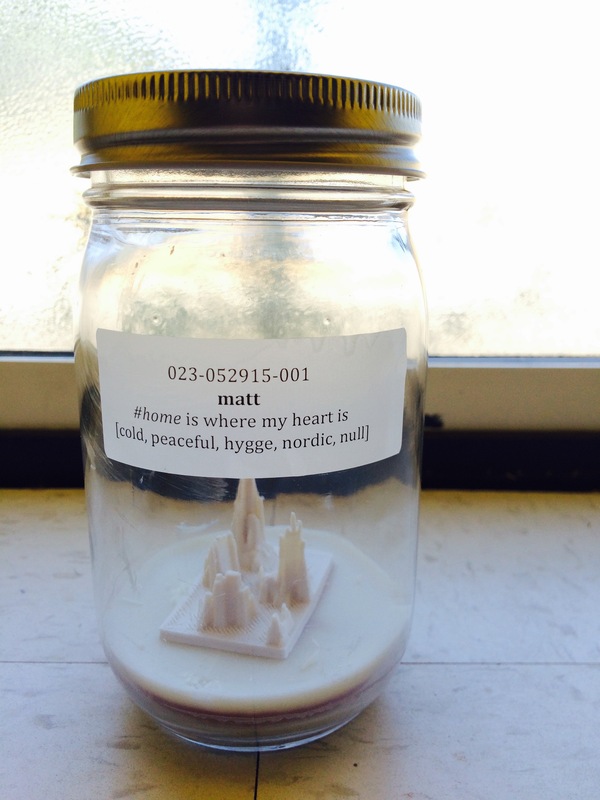 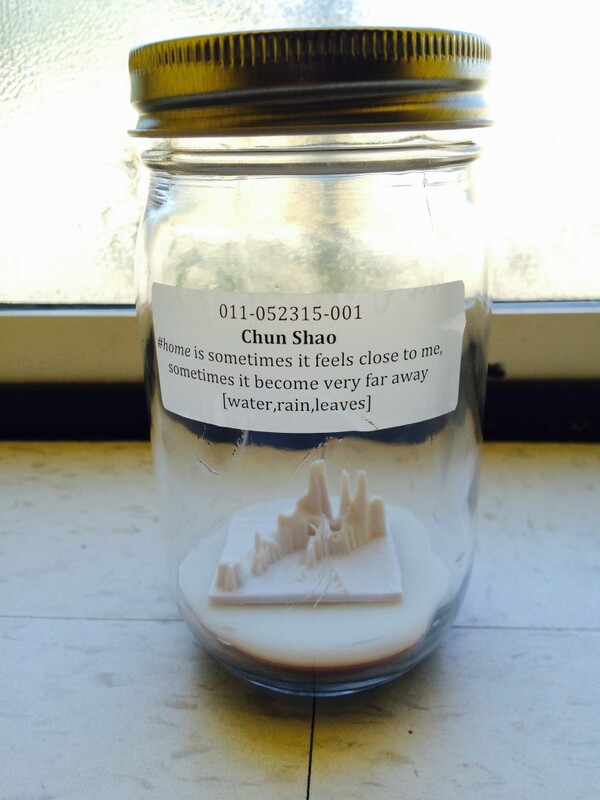 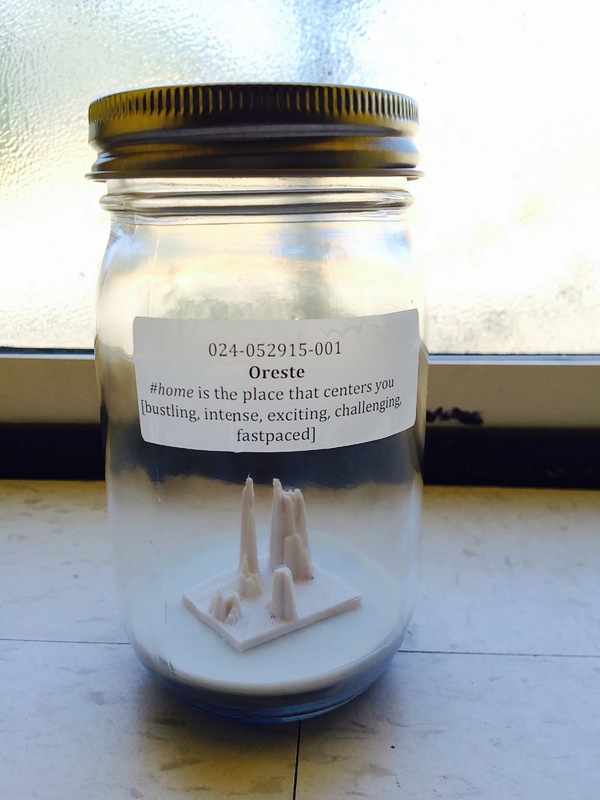 Pictures show the jars that were given to each participant after the installation had closed, and the 3D rendering of the accumulation of tweets on a world map.